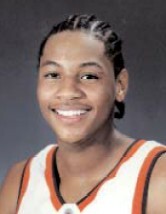 Drafted: Selected by the Denver Nuggets in the first round (3rd pick overall) of 2003 NBA Draft. One of the greatest small forwards of all time. How scary would Detroit have been.